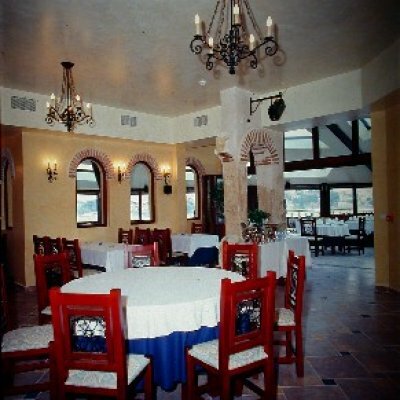 can anybody tell me what are the prices of these hotels at www.bulgarianresorts.com? I'm looking for the apartment for 2 persons. It should be near the sand beach becouse we are taking 2 little children with us. Should I do the reservation? Are the prices higher or lower on the NET? Thanks for answering. Stayed there in October 2005 - found the reception staff extremely helpful, but the restaurant staff and food was awfull,our first evening meal was uncooked and it was chicken! we ate out at another local hotel every night, we only had breakfast in the Parnas because we had paid for it. would not stay there again or recommend it to any british visitors, they obviously prefered the German visitors. Also very little English spoken or understood, perhaps our fault for not learning more Bulgarian before we went. I stayed at the Hotel Parnas with my partner for a week in July 2005. We were lucky to be given a huge bedroom on the second floor (actually we had two large bedrooms - so there was plenty of space) with a narrow but perfectly acceptable balcony which has amazing views of Sozopol's old town and the sea. I really enjoyed staying here despite the low standard of breakfast and slightly rude waiting staff. Our cleaner actualy left us some hand picked fruit in our room one morning so they can't be all bad! I would still recommend staying here despite the reviews. There's also a bar/cafe right next door that was open until very late which was nice to pop into. We were told before that there is no swimming pool, but as the beach is only a 5 minute walk away you really don't need one! THIS WAS OUR SECOND HOLIDAY AT THE PARNAS AND WE WERE LOOKING FORWARD TO IT ! BUT O WHAT A DISAPPOINTMENT.WE ARRIVED AND THE LOBBY BAR WAS CLOSED AND EMPTY OF STOCK . THE HOTEL SHOP CLOSED AND USED FOR A STORE ROOM . THE RECEPTION DID NOT WANT TO CHANGE OUR MONEY.THE ROOF TERRECE WAS CLOSED.AND AS FOR THE SWIMMING POOL WE LOOKED FOR 2 WEEKS AND STILL DID NOT FIND IT .THE FOOD WELL LETS JUST SAY WE ATE OUT. BUT THE HOTEL IS VERY CLEAN AND IS WELL PLACED.WE LOVE BULGARIA. AND SOZOPOL WE GO BACK TO OVER AND OVER AGAIN.BUT AS THE PARNAS HAS CHANGED HANDS IT HAS GONE DOWN HILL.BUT THERE ARE LOTS OF OTHER HOTELS AND IT IS NO LONGER IN THE BALKAN HOLIDAYS BROCHURE WE BRITS CAN ENJOY THE OTHER HOTELS. AND NOT TO FORGET THE PARROT ITS A PAIN IT GOES ON ALL DAY AND MOST OF THE NIGHT.WE ARE GOING TO SOZOPOL AGAIN IN SEPTMBER 2006 BUT WE WILL GIVE THE PARNAS A MISS THIS TIME. Oh!I was in that hotel twce for the last two years.This Year I went there with my woman.All the people who say that this hotel is "awful" and the stuff isn't good-LIES!The stuff is perfect.Speaking english very well and I'm very x-ited.I have there a favourite bartender his name is Miro.You need to see him.He is the spirit of the hotel...The next year I'll go there Again and again!The best hotel in bulgarian resorts! Well, I can't say I'm sorry for Mr. Brannon. I guess it was payback time for all the times the rest of us have had our holiday's ruined by football fans. In any case, I have stayed at Parnas twice now and found the reception staff to be a little on the cold side. The restaurant staff is definitely lazy and careless for bulgarian standards - but not rude. I travel to London about once a month and recieve similar treatment regularly. They've built a bar in the reception and frankly, it's an eyesore. 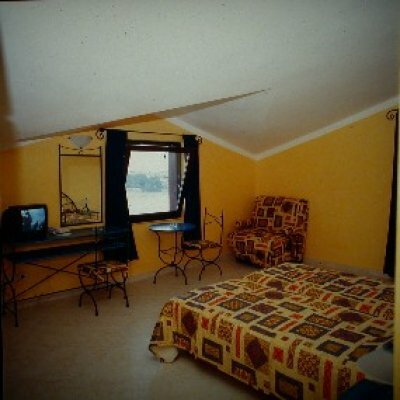 However, the hotel is fair and clean and the views from the rooms and the restaurant are unmatched in Bulgaria. The other staff (cleaning) was wonderful but lacking any English whatsoever. But what do you expect? It's Bulgaria, for god's sake! WE HAD A GREAT HOLIDAY AT THE PARNAS.IT IS VERY CLEAN THE STAFF ARE HELPFULL BUT DO NOT SPEAK MUCH ENGLISH .SOZOPOL IS A NICE LITTLE TOWN AND THERE ARE PLENTY OF RESTAURANTS IN THE OLD AND NEW TOWN.IT IS EASY TO GET TO LOTS OF PLACES BY BUS AND TAXIS BOTH ARE VERY CHEAP.WE ENJOYED IT SO MUCH WE ARE GOING BACK TO DO IT ALL AGAIN BUT FOR TWO WEEKS . SO IT MUST BE GOOD !WOULD GO BACK TO BULGARIA ANYTIME . 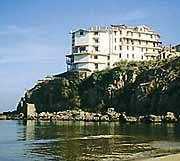 Has anyone got a positive comment on Hotel Parnas Sozopol? We are booked in for two weeks at end of August 2005 (Ages 52, 53). 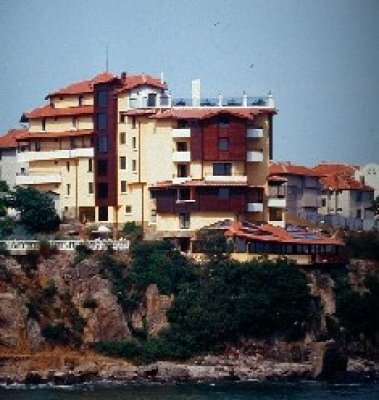 We have been going to Bulgaria twice a year for last four years and love it but this will be our first stay in Sozopol. I stayed at the Parnos with my adult son when we wet to watch Liverpool win the Champions League in Istanbul and going via Bulgaria was the cheapest way we could do it. The football match provided us both with one of the most gratifying days of our lives and we thought nothing could spoil it...until we got back to the Hotel Parnas! The place is run for the benefit of the staff, not the guests. They would stand around, smoking all the time, in groups while guests waited to be served or assisted. Few spoke English and fewer were interested in being useful. One old disabled guest we met there was forced to lug two heavy suitcases up an awkwardly placed flight of stairs simply to get in to the lift. Not one of the staff offered to help him (this was before we'd arrived). The food was of poor quality and the noise of the building works began at 8am and went on all day. As the rest of the resort was nothing more than a building site and it was impossible to escape noise, shambolic workers and major inconvenience, this left the hotel balcony the only place to relax..but of course you couldn't because of the building work and noise going on there. Complain about this to the staff and they simply shrugged. On the Saturday we were there, a wedding party arrived and the bar and restaurant were out of bounds for hotel guests for the rest of the day. Was there any offer of compensation? Don't be daft, this is Bulgaria where the idea of choice is anathema. They still think you can't go anywhere else and you therefore have to stay there. We could not wait to escape and fortunately, our holiday company got us out of there and moved us to an alternative resort. One guest was heard to say she was counting off the days until she could go home and said it was more of a sentence than a holiday. No-one disagreed with her.